Found her on the 1930 Floral Park, Nassau, New York census (dist 11 img 16) as Mary L. Baecker age 46. Found her on the 1900 Canton, Stark, Ohio census (dist 104 img 10) as Mary Finger age 21. Found her on the 1910 Canton Ward 2, Stark, Ohio census (dist 168 img 25) as Mary M. Finger age 32. Has given birth to 5 children, 5 are living. Father born Germany, mother born Ohio. Found her on the 1920 Canton Ward 2, Stark, Ohio census (dist 34 img 23) as Mary M. Finger age 42. Found her on the 1930 Canton, Stark, Ohio census (dist 9 img 15) as Mary May Finger age 52. Found her on the 1910 Boles, Franklin, Missouri census (dist 47 img 4) as Sarah R. Finger age 25, wife of Alexander Fanger (Finger). Her maiden name may have been Sarah Rose Hollis, who is shown as the wife of Joseph W. Finger by a user-submitted tree on ancestry.com. Found him on the 1880 LeGrand, Marshall, Iowa census (dist 283 img 23), age 7. Found him on the 1900 LeGrand, Marshall, Iowa census (dist 110 img 18) age 27, single, living at home. Found him on the 1900 Monroe, Union, North Carolina census (dist 140 img 31) as Julian Bundy age 13. Found him on the 1920 Charlotte Ward 1, Mecklenburg, North Carolina census (dist 133 img 21) as Julian C. Bundy age 32, dealer, cotton waste. Found her on the 1900 Civil District 10, Blount, Tennessee census (dist 21 img 21) age 3. Found him on the 1920 New Haven Ward 12, New Haven, Connecticut census (dist 395 img 15) as Frank Connors age 16. Mrs. Henry L. Finger, who has been critically ill at her home in Mount Marion, town of Saugerties, the past few weeks, passed away Friday evening. Deceased gave birth to twin daughters a few weeks ago, and the illness that resulted in her death set in soon after the children were born. The husband, who has been so sorely bereft in the loss of his wife, will have the condolence of many friends. Mrs. Finger was 22 years old. Found her on the 1900 Shandaken, Ulster, New York census (dist 135 img 2) as Lilly P. Cure age 8. He was a farmer and conducted a tannery. He was widely known for his hospitality and for his charitable deeds. A. Nixon refers to him as Tanner Daniel Finger. Found him on the 1850 Lincoln County, North Carolina census (img 28) as Daniel Finger age 44, farmer Also living with the family is Margaret Fox age 24. He is living next door to John Finger age 34, his wife Delilah Finger age 24, and J. M. Finger age 5; and 3 dwellings away from his brother Michael. Found him on the 1860 Lincoln County, North Carolina census (img 11) as Danl Finger age 54, farmer. His wife is not listed with the family [she died in 1857]. Found him on the 1880 Newton, Catawba, North Caolina census (dist 47 img 6) as Daniel Finger age 72, farmer. 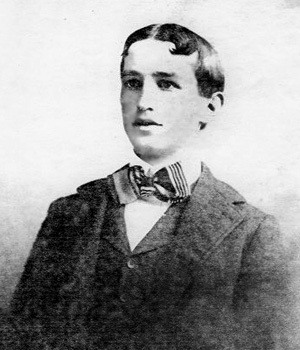 Found him on the 1900 Bronx, New York, New York census (dist 1060 img 11) as Edward Finger age 18, stenographer + typisnist. Found him on the 1920 Bronx, Bronx, New York census (dist 365 img 31) age 38. He, his wife, and children are living with her parents John and Frances Stirn. Found him on the 1930 Bronx, Bronx, New York census (dist 487 img 51) as Edward A. Finger age 48, sp collector lighting co. He is living next door to his parents. Found her on the 1860 Northern Division, Spartanburg, South Carolina census (img 27) as Eliza Finger age 8. Born North Carolina. Found her on the 1870 Campobello, Spartanburg, South Carolina census (img 37) as Eliza Finger age 20, at home. Born South Carolina. Found her on the 1910 Meramac, Jefferson, Missouri census (dist 35 img 13) as Lizzie Finger age 3. Found her on the 1920 Pacific, Franklin, Missouri census (dist 55 img 24) as Elizabeth D. Finger age 12. Found her on the 1920 Saugerties, Ulster, New York census age 43, living with her brother Howard. Found her on the 1930 Saugerties, Ulster, New York census (dist 55 img 7) age 54, single, living with her mother. Found her on the 1940 Saugerties, Ulster, New York census (dist 56-73 img 1) as Ella Finger age 64, head of household. She is living next to her parents H. Clinton and Anna Finger. Found her on the 1920 San Antonia Ward 8, Bexar, Texas census (dist 99 img 4) as Meta L. Finger age 5. Found her on the 1930 San Antonio, Bexar, Texas census (dist 145 img 49) as Meta Finger age 15. Mrs. Josephine Marchant Hotaling, a lifelong resident of Connelly, died early today at Kingston Hospital after a Iong illness. Surviving are a daughter, Evelyn, wife of Robert K. Brown, of Glen Rock. N. J., two sisters, Mrs. J. V. Wemple, of Saugerties and Mrs. Treadwell Wilson, of Connelly; a brother, Charles F. Marchant, of Syracuse, and two grandchildren, Robert M. and Barbara L. Brown. She was a member of the Connelly Methodist Church, and of its Ladies' Aid Society. The funeral will be held Saturday at 2 p. m. from the Sweet & Keyser Funeral Home, 167 Tremper avenue. Burial will be in Riverview Cemetery, Port Ewen. Friends may call at the funeral home any time Friday. - The Kingston Daily Freeman February 14, 1952. Found her on the 1900 Esopus, Ulster, New York census (dist 91 img 39) as Josephine Marchant age 19. Shirley M. Finger, 91, of Prospect St. died Friday, Feb. 13, 2015 at the Ulster County Health Related Facility. Born Sept. 19, 1923 in Saugerties she was the daughter of the late Frederick and Laura Mickle. A lifetime area resident Shirley was a member of the Saugerties Senior Citizens Club #2, the Saugerties Society of Little Gardens, and was the treasurer of the Public Health Nursing Committee for over 50 years. She loved to garden and was an avid Yankees fan. Predeceased by her husband, Robert and son, Terry Finger, survivors include one daughter: Carole A. Luther of Saugerties, daughter-in-law, Susan Finger of Columbia, Mo. Two grandchildren: Laura and Stephen Finger also survive. Her Funeral Service was held at the convenience of the family. Spring Burial will be conducted in the Mt. View Cemetery. Found her on the 1930 Saugerties, Ulster, New York census (dist 50 img 17) as Shirley V. Mickle age 6 years, 6 months. Found her on the 1940 Saugerties, Ulster, New York census (dist 56-66 img 15) as Shirley B. Mickle age 16. Address: 7 Prospect St.
Found him on the 1930 Otsego, Allegan, Michigan census (dist 27 img 5) as Max Nichols age 1. 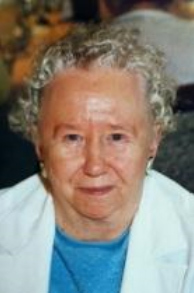 Geraldine S. Fingar, 76, a lifelong area resident, died, Wednesday July 2, 2003 at the Northern Dutchess Hospital in Rhinebeck, NY. For many years, Mrs. Fingar worked as a Waitress at both the Beekman Arms and Schemmey's Restaurants in Rhinebeck, until her retirement in the early 1970's. Born in Rhinebeck, NY on 5/23/1927, she was the daughter of Stanley and Lillian Berger Pulver. On Aug. 15, 1948 at St. John´s Reformed Church, Upper Red Hook, Mrs. Fingar married Floyd S. Fingar. Mr. Fingar predeceased her on January 29, 1996. She is survived by Son & daughter-in-law, Donald W. & Dee Fingar of Rhinebeck, NY, son, Floyd S. Fingar, Jr. of Winchester, IN, son & daughter-in-law, Gary A. & Kathy Fingar of Rhinebeck, NY, Daughter, Cheryl Morrison of Punta Gorda, FL, 9 grandchildren & 3 great grandchildren. Three sisters; Doris Hapeman of Red Hook, NY, Shirree Brady of Ormond Beach, FL, & June Birmingham of Virginia Beach, VA. also survive. In addition to her husband, a daughter, Debra Lynn Fingar, 2 brothers & 1 sister, predeceased her. Graveside services will be held at 10:00 AM on Tuesday, July 8, 2003 at Rhinebeck Cemetery, Route 9 South, Rhinebeck. The Rev. Ryan T. Nace will officiate. Interment will be in Rhinebeck Cemetery, Rhinebeck. Found her on the 1930 Red Hook, Dutchess, New York census (dist 75 img 1) as Aldene Pulver age 2. Found her on the 1920 Shenandoah Ward 2, Page, Iowa census (dist 105 img 27) as Amanda Austin age 67. Father born New Jersey, mother born Ohio. Found him on the 1900 Civil District 14, Knox, Tennessee census (dist 86 img 13) as William C. Thomas age 39, farmer. Found him on the 1910 South Knoxville, Knox, Tennessee census (dist 109 img 4) as Will Thomas age 48, laborer, furniture factory.